Discussion in 'UFC Discussion' started by WanderLogun, Dec 21, 2012. So it's been a while since I've heard anyone mention the Saku belts, or seen it referenced anywhere. 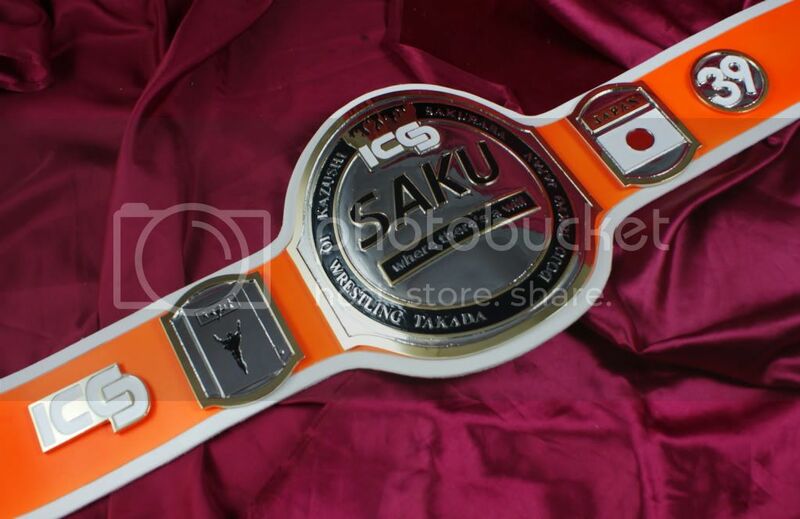 For people who don't know, once upon a time Sakuraba made his own belt which he awarded himself, because there were no belts in the organisation that he was in. When Wanderlei Silva beat him, Sakuraba presented Wand with the Saku belt, presumably because it was the first person to beat him since he fabricated the belt for himself. If we were to carry on passing the belt from loser to winner, I figured out the belt would be held by Junior Dos Santos. Which I find pretty fitting, as he is the top heavyweight in the top mma org in the world; it's funny how things work out! Anyway, for those interested, here is the bloody lineage of the belt named Saku. Cain lost it to JDS, who is now the true holder of the Saku belt. There was a fight before Wanderlei lost it to Mark Hunt, in which he Drew with Cro-Cop, now if Mirko had won that fight in the eyes of the judges, the belt would have made these transitions. Bit of useless trivia for you here before the world ends! Typrune Goatley and Buff like this. wait, does JDS know that he has the Saku belt? JDS Vs. Overeem will unify so many belts its not even funny. Would be funny to see where it is at today. I guess you're right, Overeem does carry quite a few accolades, last dream belt included? First time Pride and UFC belt gets united look forward to the fight as well. Overeem also has lineal UFC HW belt and lineal UFC 1 tournament championship. I thought Anderson vs Hendo and Rampage vs Hendo united pride and UFC belts? I meant HW because Fedor had it for so long and never entered the UFC. Surprisingly interesting thread. I genuinely enjoyed this. Also, shameless self bump because I want MiroHA to explain!